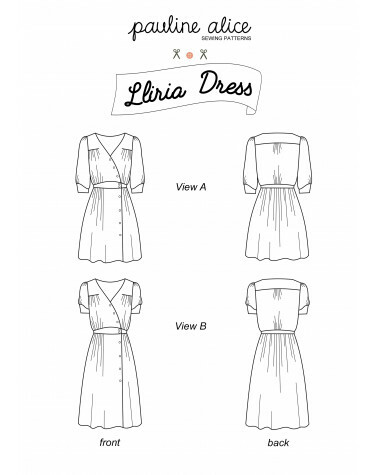 The Lliria dress is a semi-fitted wrap dress. Gathered bodice and skirt, shaped waistband, asymmetric button closure. View A: elbow length sleeves and above-the-knee skirt. View B: short sleeves and midi skirt.